Spectra Test Equipment has been selling and renting high quality reconditioned electronic test equipment from the heart of Silicon Valley since 1988. Since that time, we have grown to become an industry leader as a result of our ability to support our clients with all of their instrument needs in a timely and cost effective manner. Our account managers have thorough knowledge of test instrumentation and electronic measurements. They can provide instrument recommendations from several manufacturers for your applications. We have designed our accounting group to accommodate the client. From straight purchases to long term leases, we can create packages built around your companyâ€™s purchasing philosophy. In our 3,000 sq ft facility, we maintain a calibration and repair lab staffed with veteran technicians. All of our orders go through a complete check-out according to the manufacturers recommendations. 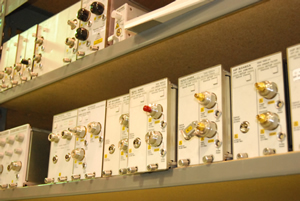 We carry instruments from trusted industry leaders including Agilent/Hewlett-Packard, Tektronix, Fluke, Advantest, Keithley and others. With thousands instruments in stock and hundreds arriving each week, you can be confident that we will have the items you need! Order fulfillment is something we take very seriously. All manuals, accessories, and software are meticulously supplied with each item as specified by the manufacturer. It doesnâ€™t matter how quickly the unit gets there if you cannot operate it. Our shipping department consists of experienced individuals who know how to properly pack your order. We use InstaPakÂ® foam in place and top quality materials for every shipment, nationwide and international. We provide delivery all over the Silicon Valley at no extra charge in most cases. We answer our clients questions quickly and accurately, offer competitive prices, ship on time as agreed, and stand behind every transaction. 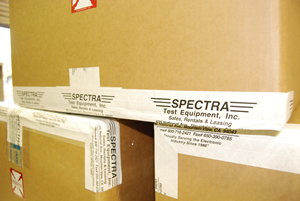 Our â€œcustomer firstâ€� philosophy has merited Spectra Test Equipment our customersâ€™ trust and confidence.